Are you a trader who cares about the future of your business? 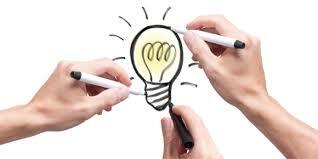 Do you want to get some ideas for improving your business? Do you want to tell the decision makers what you think should be done to improve our market? Do you want to explore some ideas or just listen to what other traders think? If you answered yes to any of those questions then perhaps you should attend the next trader information session. Traders and senior management representatives will attend the next trader information session to be held at the Information Hub, 452 Queen St. on Thursday 3rd November between 2:30 and 3:30 - spend an hour or just 10 minutes. This session is for exchanging ideas and you may just have the solution for improving our market or you may hear a solution from someone else. Either way this could be your session. 1. US Home Depot chain credits its resilience to $4b spent on improving e-commerce and adjusting its stores for online. 2. GAP to shut all UK Banana Republic stores. 3. Woolworths links with Bendon to sell exclusive underwear range. 4. Terry White / Chemmart merger approved by shareholders. 5. Supercheap Auto says Masters clearance is hurting their sales. 6. Declining jobs and share market combines for reduced consumer confidence in October. 7. Peter Jackson menswear set to reach 50 store milestone. 8. 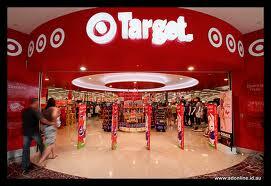 Coles and Target show slower sales in first quarter. 9. Childrenswear retailer, Pumpkin Patch appoints administrators. 10. US jewellery chain, Alex & Ani, to open 9 stores in Australia by Christmas. 11. Administrator looking for buyer for Pumpkin Patch. 12. Sunglasses Hut to open new 100sqm concept store in Bourke St Mall. 13. Melbourne’s International Airport to get major retail makeover. 14. Woolworths lifts food sales for first time since 2014/15. Michael campaigned on the Phil Cleary ticket in the city elections which included opposition to the plans for renewing the Queen Vic Market. Ironically, it is unlikely that Michael will be able to vote on matters relating to the market, because of a conflict of interest. However his involvement in city matters as an experienced retailer bodes well for all small businesses in the municipality. We congratulate Michael and all those voters who saw the wisdom of having a small business voice in the city’s affairs and recognised the importance of The Queen Vic Market in the future of Melbourne. With the Queen Victoria Market a key election issue, Cr Doyle said he had a mandate to deliver the proposed $250 million redevelopment. 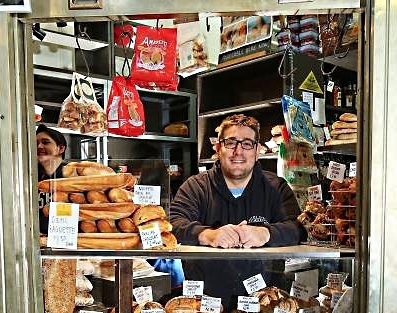 Michael Caiafa’s election to the Melbourne City Council is a great result for the market, and small business generally. The voice of small business is now clearly identified in the council’s make-up. But Councillor Stephen Mayne missed out in this election and his departure could be a significant loss, particularly for The Queen Vic Market. 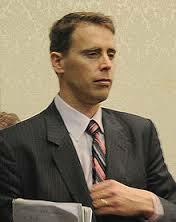 Many traders may not be aware of Mr Mayne’s contribution to market matters. - Speed and efficiencies in council agenda notifications, minutes and audio recordings of Council meetings. - More open selection of subsidiary company directors including QVM. - Setting up a funding vehicle for QVM renewal. - Release of State Government QVM land swap contract. - Establishing transparency on the $76m Munro Site purchase and development. - Improving financials reporting for QVM. - More public disclosure of QVM financials. - Release of confidential QVM resolutions and voting records within Council. Lack of trust is a key issue for many traders and we can only hope that Stephen Mayne’s departure from Council will not see the erosion of any of the important innovations he introduced to give us greater transparency and understanding of market issues. Even Amazon Has Free Delivery Problems – Amazon revealed disappointing earnings this week and at least part of the reason is the cost of free delivery on many of their items. commentators, $99 is just not enough. Shipping expenses for Amazon jumped 43% last quarter as users took increasing advantage of the two-day unlimited shipping service. The good news for Amazon is that their turnover is up dramatically but they just need to reign in operating costs. Amazon shares fell 6% on the news. 15 Main Street Shops Are Closing Every Day In Britain – The retail scene is changing in Britain as tobacconists, estate agents, and jewellers take over main streets previously populated by a variety of retailers. Fashion stores showed the biggest fall as the category continues to show across the board decline. In-store Farms At Target – we wrote about the concept of in-house vertical farms back in August (http://www.victraders.com/2016/08/creating-farm-at-qvm.html) and Target in the US have decided to test the concept with farms being introduced early 2017. Leafy greens are considered the most likely staple although potatoes, beetroot and zucchini could also be on the menu. Some commentators have questioned the ROI from such a venture but the returns in PR and marketing are seen as huge. McDonalds Shows Revenue Growth – McDonald’s global sales were up by 3.5% in the third quarter buoyed by all day breakfast menus and healthier chicken. Weak performances in the past by companies like McDonalds have weighed heavily on consumer sentiment so this news was warmly greeted globally. 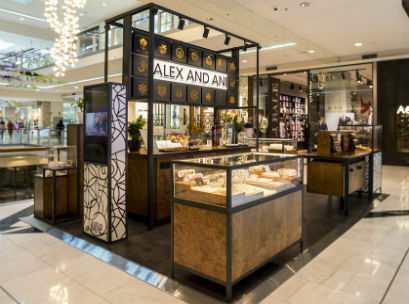 New Jewellery Chain To Open 9 Stores In Australia By Christmas - US Jewellery retailer, Alex and Ani, will shortly open its first Australian “studio” at Chatswood with 8 more stores scheduled by Christmas. The chain started in 2014 in the US and has shown huge growth with an emphasis on innovative design, re-cycled materials, and a business culture that fosters charity support. An app introduced in 2015 was adopted widely and not only introduced consumers to the product range but expanded on the background to different jewellery designs. Q&A is a popular TV show and often handles the meaty social issues. A recent edition of the program looked at unemployment and included a statement from a panelist that has gained much media coverage. 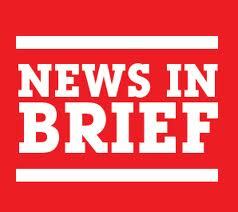 News Columnist Grace Collier said “Nobody has an entitlement to a job. Society doesn’t owe you a job. The Government can’t get you a job.” “In reality there is only one person in this world who can guarantee a happy future for you, and that person stares at you in the mirror every morning.” She was talking about starting your own business. 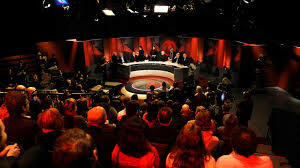 Greens leader Richard Di Natale, ACTU President Ged Kearney, Labour MP Tim Watts, Economist Judith Sloan, and Public Affairs executive director John Roskham were the other panelists and you can imagine that there was a significant backlash to Grace’s comments. In the debate that has followed the program there seems to be consensus that those wishing to start their own business need much more support in areas like finance and staff recruitment. Essentially it needs to be made much easier for people to set up their own business. And of course The Queen Vic Market has a very important role to play assisting new businesses to bring their products to consumers. 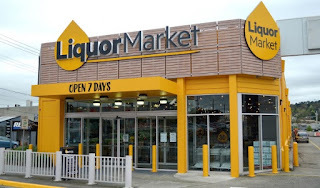 The word “Market” is obviously a very desirable connection for retailers with Coles now opening a “Liquor Market” as it competes with the likes of Dan Murphy’s and Aldi. Coles is looking to sell a modest range of liquor with an emphasis on low prices from its new outlet. Cheap is the name of the game with Coles now familiar yellow and black colour combination adopted as the colour scheme in a cost cutting exercise that they say will translate to lower liquor prices. 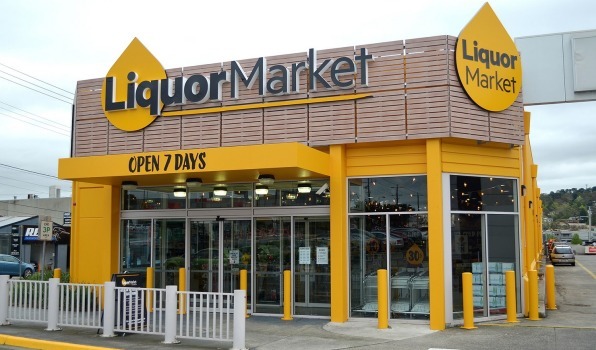 Liquor Market will undercut Coles other drinks outlet, Liquorland, and compete directly with Woolworth’s Dan Murphy brand and Aldi. The following article was published in the CBD News and the Trader Bulletin issue 9 over the weekend. The Queen Victoria Market community – traders, loyal customers and indeed management, all agree that the market’s future prosperity should be built on our unique history and the important role the market has and will continue to play in bringing the people of Melbourne together. It’s been evolving to meet the needs of Melburnians for over 138 years and we all want to see the market perform that important role long into the future. However, you cannot operate a 21st century marketplace in a 19th century environment. Continuing the tradition of market trading in a contemporary city requires necessary upgrades to facilities and investment in the customer experience to ensure its long term viability. The challenge with the Queen Vic Market is that our upgrades need to be done very sensitively and in a way that protects our heritage buildings and unique market atmosphere. Adding to this challenge is our commitment to continue trading during renewal works recognising the reliance that so many have on our market as a regular place to shop, trade and connect. It’s a balancing act but we have to get it right because we know that the most important thing about the Vic Market is its authenticity and character. It’s the traders, the produce, the wonderful mix of sights, smells, sounds and tastes that make the market what it is. In business terms, it’s our unique selling proposition. And we’re not about to do anything to compromise that. Our plans for renewal will result in an even better marketplace, equipping our traders with the infrastructure they need to be more efficient and profitable in a contemporary city. Moving market operations below ground will give traders access to cool rooms, storage, waste management facilities and dedicated delivery zones, improving working conditions and making the site a safer, more pedestrian friendly place for all. The renewed Queen Vic Market will be open more often, with more on off er for customers. But it isn’t about asking traders to work around the clock. Having a more flexible marketplace will enable more businesses to trade at the market at different times, complementing the traditional market offering. We’ll be keeping things affordable and giving customers more choices. 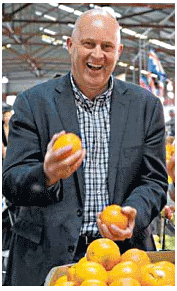 There will never be a supermarket at the Vic Market. Nor will be there be sterile, franchised offers. Our future will be clearly built on family-based small businesses, innovative start-ups and social enterprise just the way it always has been. The revitalised market will be surrounded by great streets and tree-lined spaces with more room for pedestrians, cyclists and improved access to public transport. There will still be plenty of car parking but it will be moved below ground so that the current car park can be transformed to “Market Square” – a 1.5 hectare backyard for all Melburnians to enjoy. Through renewal, we will restore and return the market’s heritage sheds to where they stand today. The much-loved food halls will be just as they are with only some minor restoration and renovation works. The Queen Victoria Market has an important place in the community and culture of our city and we want this to continue for the next 138 years. Everything we do is about protecting the history, people and future of the market and ensuring its legacy lives on for generations. 1. Lululemon opens largest Australian store at Chadstone. 2. US retail sales up in September but department stores continue to decline. 3. Caltex confirms it is bidding for Woolworths service station business. 4. Shoes of Prey to close department store outlets including DJ’s and Nordstrom as it refocuses. 5. Cotton On Kids to open flagship store in NZ. 6. Reject Shop predicts soft sales this half year. 7. Bras’n’Things opens new concept store at Chadstone. 8. Sanitarium set to push Weet-Bix into China. 9. Coles and Virgin partner in new frequent flyer scheme. 10. Leading fashionistas abandoning Melbourne’s once coveted shopping strips. 11. Melbourne shopping strips reporting vacancies as high as 20%. 12. Pumpkin Patch says “valueless” as banks refuse finance. 13. Street food concept, Rolld, opens 50th store. 14. China now Australia’s biggest wine market. We are all influenced by life experiences and some of those experiences, things like wars, recessions, and political upheavals, shape our perceptions and our actions. Understanding how and why different generations respond in their shopping is important for every retailer. Shopping habits are often formed in early family years. The generation that experienced the global recession of 2008 will react differently to those impacted by the 1920’s depression (through their parents and grandparents) and a whole lot differently to those who had only limited exposure to economic uncertainty. When it comes to retail those experiences shape consumers buying preferences and that is why the big retailers are spending so much time and money trying to understand consumers. One generation is about to have a big impact on market traders and we need to understand them if we want a share of their spending. 1. Global recession and terrorism have made them cautious and cost conscious. 2. They value experiences, usually with social content. 3. They care about social and political causes. 4. More than half of them shop online because it is affordable. They will be put off by high cost shipping, and if it is possible to offer free shipping, you will maximise your opportunities. 5. They want their goods NOW and will pay a premium for same day service. 6. Millenials also like quick delivery but Gen Z want it quicker. 7. Gen Z are not big fans of “Click’n’collect”. They want it delivered. 8. If “free delivery” is important so are “free returns”. Returning is just an integral component of the shopping service these days and therefore shouldn’t attract a penalty. 9. The counter balance to all the freebies is that Gen Z’s are likely to accept a spending threshold before free shipping cuts in. Free shipping on a $20 product may not be cost effective, but a minimum $60 spend before free shipping kicks in may make the economics look much better. Armed with modern technology, particularly mobiles, Gen Zedders are increasingly demanding speed and convenience. They are about to become very influential, and every retailer’s strategy needs to factor in their preferences. Good News Story One - One of our A Shed Traders has said that Saturday business has improved significantly since vehicle parking was removed from Queen St. Apparently the ability for customers to move more freely between the upper and lower precincts of the market has paid dividends, at least for this trader. Good News Story Two – this story concerns outstanding customer service and all without the knowledge of our stallholder. Our stallholder was visited by a customer who was extremely effusive about his purchase a few weeks ago. This trader is used to receiving good feedback about his goods but the praise from this customer went beyond the normal compliments. After the customer had left a staff member explained that this customer had made his purchase while the owner was overseas on holidays. On that occasion the customer paid cash for his goods and left the stall. A few minutes later the staff discovered that the customer had overpaid by $100. When staff realised the mistake they went to great lengths to find the customer and finally tracked him down 4 aisles away and returned the overpayment. Understandably the customer, and now the stall owner, were impressed with their efforts. Smelly Story – last week’s reference to a bad smell coming from the top of L Shed has been addressed. Apparently a containment tank adjacent to a coffee shop requires a special cleaning process and the new cleaning contractors have been appraised of their responsibilities. Traders in the area are asked to contact management staff immediately any similar problem arises. Christmas Trading One – Many traders have been quick to embrace the opportunity to trade on the Friday before Christmas as an extended trading day and an opportunity to cash in on Christmas demand. The arrangement may not suit every trader and it is possible that the day may have to be a “curated” trading day with those who wish to trade into the evening being positioned around Queen St. and those wishing to depart early being positioned in other areas where their departure will not inconvenience trade. Christmas Trading Two – A number of top end traders have voiced their disapproval at closing the market on the Tuesday after Christmas. The way Christmas falls this year we could lose 4 straight days of trading. Management have indicated that they are keen to embrace trading opportunities and they will now conduct a survey over the coming week to see how many traders would like to trade at this busy time of year. Guru Pete Hits The Airwaves – The intrepid radio broadcasters from Field Theory were keen to interview Guru Pete as part of their 9000 Minutes broadcast for the Biennial Lab public art project. Pete’s talents as a horse tipper on the Victraders Facebook page had apparently reached their ears. Pete sat in front of the microphone and answered questions about a number of diverse topics including horse tipping, class distinction, and even romance under the sheds. Parking Vouchers – We posted an article about this matter recently and we are hoping that traders might be able to pick up vouchers at the F1 Shop right up until closing time rather than the current arrangement where they are unavailable after 11:00am. More to come on this one. It is fair to say that many traders were a little bemused by the imposition of public art projects on our trading ground this week, but the consensus seems to be that the Public Art Melbourne Biennial Lab has proved to be a worthy addition to market life. A variety of activities have graced our aisles and in fact it is the integration of public art with a public market that seems to work on a number of levels. We have seen some very different activities, communicated with some very different people, and encouraged customers (and traders) to move out of their comfort zones and explore alternative offerings in our great market. As I write this article I am listening to the intrepid broadcasters from Field Theory who have added a whole new level of commitment to the Queen Vic Market by talking, eating, sleeping, and bathing at the market non-stop for 9000 minutes. The next time a trader complains about long hours and extreme conditions we might just have to mention the example set by Field Theory. Lifting the renewal discussion embargo now that the council elections are over, has given broadcasters some rich subject matter to tease out over the airwaves. The Visible Hands project by A Centre For Everything may not make great reading in the brochure but participation makes this an engaging experience. The process starts by having your hands drawn by an artist in E shed, and then moving to select trader locations around the market, using different hand signals, and learning as you go. We use our hands for communication in many different ways each day and this project enhances that activity and adds a number of new dimensions. The tears have come from a short animated film presented in A Shed by Isobel Knowles & Van Sowerwine. It tells a very poignant story of a trader who has committed his everything to the market and like much good art it leaves more questions unanswered than many of us may be comfortable with. The presentation on a screen surrounded by storage boxes, and the sounds and vibrations that go with it, all combine for a memorable presentation. There are many more projects that make up the Biennial Lab and they are all worthy of greater comment than we have given here. The combination of events and displays has provided some new perspectives and an opportunity to step outside our daily norms. For a market about to embark on a renewal program these are valuable experiences for all participants. The Herald Sun is predicting a convincing win for Robert Doyle in this weekend’s election for Lord Mayor of Melbourne. The Greens are expected to come a distant second with less than 20% of the vote and Phil Cleary estimated to poll in the low teens. However Cleary team member and market trader, Michael Caiafa, is given a chance of securing a position as a City Councillor. These predictions are based on early scrutineering and it will be a week or so before official results come out and we know the full make up of Council. Touted as Victoria's top international tourist destination, the market is chasing more visitors from primary tourist source nations China, New Zealand . ... Public Art Melbourne Biennial Lab has launched, with performances and “activations” on display at the Queen Victoria Market from 17 to 23 October. Public Art Melbourne Biennial Lab What Happens Now? Why Are We Not Trading Tuesday After Christmas? - today's Trader Bulletin makes reference to the market being closed on the Tuesday after Christmas. Tuesday 27th December 2016 is presumably a public holiday in lieu of Christmas Day which falls on the Sunday. Some Traders are asking why close Tuesday? Surely this is one on those public holidays, like Grand Final Friday, when we should be trading, particularly as the market will be closed on the Sunday. 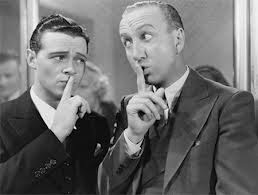 Awards Night – one trader wants to know if she can purchase a new little black dress and claim it as a business expense. Trying Out Scott Pickett's New Deli 2 – we reported that two of our traders started on Scott Pickett’s new menu last week as part of their study on market food offerings ( and a good excuse to eat out on Friday nights). They visited again this week and completed the whole menu. Still a thumbs up. Market Smells 2 – we hate mentioning these stories but now it is the waste disposal at the top of L Shed which has assaulted the senses. This time it was on a much larger scale with traders and customers visibly affected by the smell of rotten milk. This has happened before and it is one that needs constant attention. 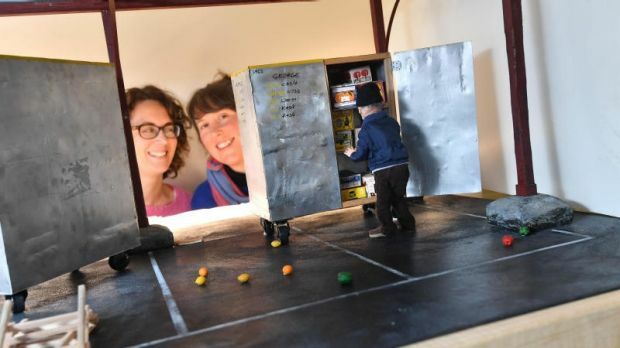 Art In A Shed – the display in A Shed as part of the Melbourne Public Art Biennial Lab has attracted a mixed response from traders although, as one pointed out, replacing an empty space with art work has to be a plus no matter what your level of art appreciation. Hay Fever Season – the hay fever season has hit us with a vengeance as winds bring in grass seeds and pollen from the north of Victoria and our local Plane trees add to the discomfort. One trader quipped that a stall selling just nasal sprays, eye drops and anti-histamine tablets could make a killing. Biennial Lab – a number of our traders are involved in an art project entitled Visible Hands operating from 17 – 23 October. The project will examine how “hand gestures are used to direct, connect, communicate and play across the stalls of the marketplace”. Ivano will be drawing hands from a location in E Shed during the week. Sunday Trading - a number of traders asking what has happened to Sunday business over the last few weeks. Apparently they are experiencing sales decline on this key (and rent expensive) trading day. 1. Woolworths exits its deal with Hills Limited following closure of Masters. 2. Chadstone opens first stage of $660m redevelopment with stunning glass roof. 3. KitKat to launch its first chocolate store at Melbourne Central. 4. Macy’s to launch Chinese e-commerce site. 5. International brands entering Australia expected to move from luxury goods to mid-range fashion in coming years. 6. Rising house prices encourage renovation which could be good for retailers. 7. Chanel says it is not touching e-commerce. 8. Westpac says consumer confidence remains steady. 9. Marimekko to open its fifth Australian store at Chadstone. 10. South African group Steinhoff to take over Fantastic Furniture. 11. Kodak to reinvent itself with smartphone venture. One of our traders in the top end made recently made a stock purchase as an importer and he recommends others do the same. Our global economy has changed the nature of manufacturing, wholesaling and retailing forever and many traders have embraced direct supply from overseas. The trader in this story had tried importing once before but had his fingers burned, firstly by an unscrupulous customs agent and secondly by product choices that were not ideal. He decided there were too many pitfalls. But he had run out of a key product in his range and the Australian supplier had fallen foul of the retail recession, deciding not to continue importing. Our trader wrote to the manufacturer in the UK and laid out his case. He explained he was a small retailer and needed a cost effective price/freight structure to make the deal worthwhile but he was confident of placing regular orders. Two day later our trader had a price and volume level that he could handle and a quote on airfreight that was manageable so he organised an overseas funds transfer with his bank and placed the order. Barely 5 days later a carton arrived at his local Post Office. It turned out that the UK freight forwarder had a relationship with Australia Post and everything went smoothly. The cost of the goods was less than $1000 so there were no import complications although even if it had been more than $1000, the connection with Australia Post means filling out a few forms to get customs clearance. Traders may prefer to use a customs agent in those cases. The good news for the trader was that the goods were landed for less than he had previously been paying and, even better, he sold 14 units on his first day with the new stock. No wonder he recommends other traders consider doing their own importing. Victoria Market shed parking proposal doubts ... concerns about the possibility of a new car park under heritage sheds at Queen Victoria Market. The New Focus For Retailers.